A unique environment that the client will visit again & again is our objective. Identifying your potential clientele & what will bring them to you is very important. Our entire team works to understand & identify your objectives & to bring your vision to life. Identifying the need for other services like hair, nail etc, if required. Assisting Design Treatment Rooms, Storage areas, etc. to maximize use of space & assure every detail from plumbing needs to electrical, lighting etc. is addressed. Assisting Architects, designers & space planners in design process & Contractors in the construction portion to assure the design is efficient. Spa is a specialized activity & hence Operational Manual has to be prepared to standardize the operations & also to provide a guideline for operations of the Spa. Selection of Equipment based on Good Better & Best Concept. Some of the equipments to be sourced can be Whirlpools (Commonly known as Jacuzzi), Steam Baths, Sauna, Massage Beds, Trolleys, Pedicure Stations, Hair Stations, Shampoo Stations, accessories like Oil Bowls, spatulas, Foot wash Bowls etc. Recommendation of Equipment vendors based on quality & service. Providing input of furniture selections throughout the environment for Durability etc. 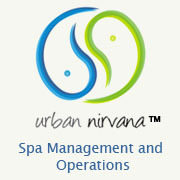 Get the Spa Equipment installed & Commissioned from the agency & made ready to use. Sourcing and recommending the best staff either from India or from overseas as per the requirements of the Spa. Complete the Induction of Spa Staff after they are employed by the Employer. Various staff members though may have worked in different Spa�s still have to undergo training program to make them understand the special flavour of your Spa. Each staff member should be made aware of the concept of the Spa, the various services offered by the Spa, giving product knowledge to all the staff members etc. All this training is very important to provide a special experience to your guests at the spa. We arrange & complete training of the Staff through specific agencies conducting training programs for the Spa Staff. Providing a write up of the Spa for inclusion in the promotional material of the property. Each Spa uses special products that make the Spa Experience a very special experience for guests. The products being used for the treatments play a vital role in creating this experience. Products have to be selected based on Treatment menu designed & also Treatment Ritual designed for each treatment.